A few years ago, I was contacted by a gentleman in Queensland, Australia who'd found my family tree on a genealogy website. The reason he'd been looking was an interesting one. 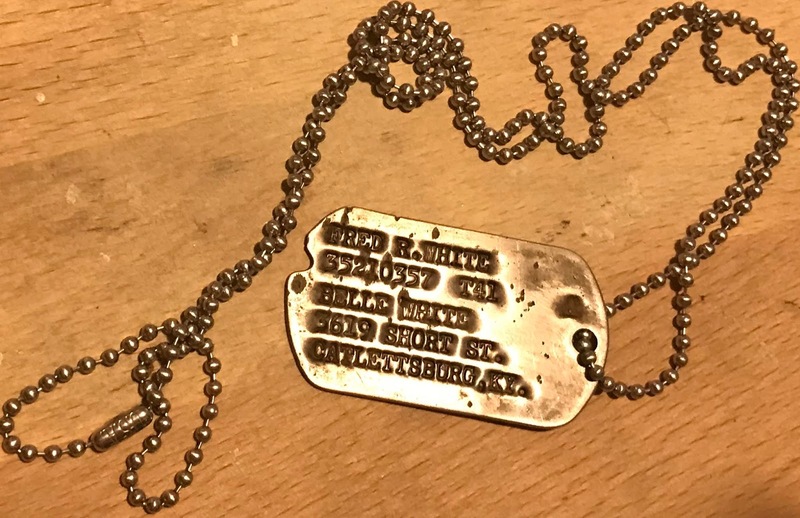 He'd discovered a dog tag long buried in the sand of a beach on the island of New Guinea. Specifically, he found it at Milne Bay, where a battle was fought from August 25 to September 7, 1942. This battle pitted Australians and a small contingent of Americans against the Japanese. It is commonly believed in Australia that, had the Allies lost the battle, Japan's next step would've been the invasion of their continent. The above dog tag belonged to one of the Americans at Milne Bay during that battle. His name was Fred White, and his next of kin was shown on that dog tag as being Belle White of Catlettsburg, Kentucky. Belle was my great grandmother, and her son, Fred, was my great uncle. He survived the battle, but lost at life, dying at a young age of the effects of alcoholism. 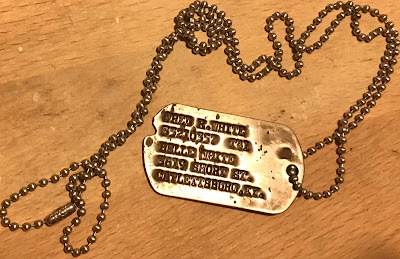 He never got married and he never had children, so I was proud to claim his long-lost dog tag on behalf of Fred's family.